Bristol City boss Lee Johnson is set to have a fully-fit squad at his disposal for the Ashton Gate visit of Birmingham. Callum O'Dowda successfully came through his comeback match in the 2-0 defeat against Millwall on Saturday following a lengthy absence while he recovered from an ankle injury. And Hordur Magnusson returned to training on Monday as he stepped up his recovery from a knee injury, with City looking to put themselves back in the Championship play-off picture. The Millwall loss left them four points outside the top six with five games left. Birmingham's worries are of the relegation variety, but they have hit a patch of good form under new manager Garry Monk. Che Adams will miss the trip to Bristol because of suspension, with Monk hoping that Sean Gallagher can overcome a calf muscle problem to be in the selection mix, or it could mean another out-of-position start for Jeremie Boga. Midfielder Craig Gardner, meanwhile, could feature after returning to training. 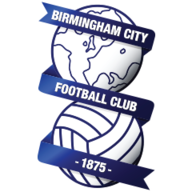 Birmingham currently occupy 20th place in the Championship, one point above Bolton and two behind Reading. 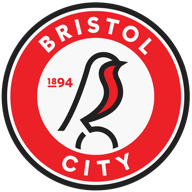 Bristol City have not beaten Birmingham in any of their last 14 league meetings (D3 L11) since a 3-0 win in November 1993 when Wayne Allison scored a hat-trick. The Blues have not conceded a single goal in any of their last four league visits to Ashton Gate (W3 D1) since a 2-1 win in September 2008. No player has been directly involved in more Championship goals this season than Bobby Reid (22 - 17 goals, 5 assists). Birmingham haven't won consecutive away league games since a run of three in October 2015. Lee Johnson has lost all three of his Championship meetings with Birmingham, losing his only home game in that time on the final day of last season. Garry Monk's two away Championship visits to Ashton Gate have ended in defeat, as Leeds boss in September 2016 and Middlesbrough manager in December 2017.